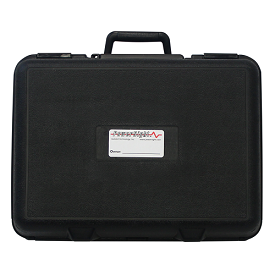 THE POWERSIGHT PS4550 POWER QUALITY ANALYZER is a versatile, easy-to-use power quality analyzer that is ideal for comprehensive power quality studies, energy audits, load studies, harmonic analysis, and more. The PS4550 couples small size with sophisticated triggering and event capture to answer your power quality questions. Combined with our Advanced PowerSight Manager software, the PS4550 is the Most Efficient and Error Free Solution for Power Studies. 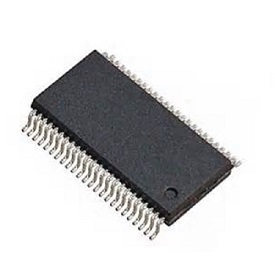 • Catch power quality events such as fast transients (impulses) to 8 microseconds, voltage sags (dips), and swells. • Record energy use (kWh), and log all power parameters: watts, VA, Power Factor, etc. 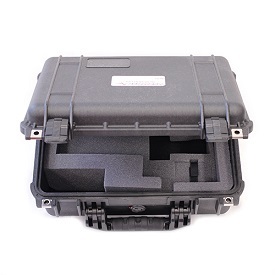 It's rubberized contoured case and rugged construction make the PS4550 ideal for field work. Clearly labeled buttons display present maximum, minimum, and average values on a back-lit LCD screen for quickly making spot measurements and over-all evaluation at panels and equipment. 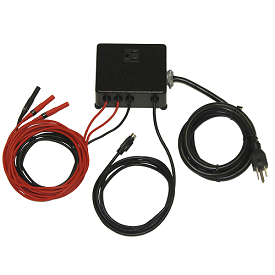 Our patented SureStart feature automatically checks for wrong connections before you begin monitoring to ensure a successful power study every time. Our TestPlan Manager integration loads the entire test plan into the meter to insure that the correct data is generated and is retrieved efficiently. 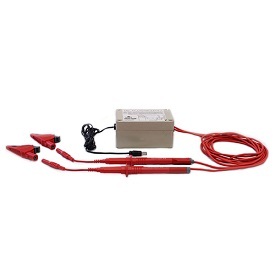 Use it on just about any type of power system in the world. Redundant communications and data storage so there is always a way to communicate and get data. Set logging period from 1 second to 99 minutes for months of logging. At 1 second logging, capacity is essentially unlimited by using your SD card (32GB maximum). 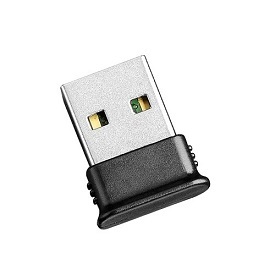 Data is saved to internal memory that can be downloaded to a PC via Bluetooth, USB, or optional Wi-Fi. In addition, the PS4550 includes a removable SD memory card slot that allows you to backup power survey data and transfer the data to a PC via an SD card. PC software and Report Writer are included. High-speed sampling to 8 microseconds offers high performance for capturing spikes and transients. Cycle-by-cycle RMS measurement provides the greatest accuracy for data logging. Half-cycle RMS measurement provides highest resolution for triggering and tracking voltage fluctuations. Continuous sampling ensures no cycle is missed on any input. The meter is never "blind" or idling. The new safety regulations demand safer tools. 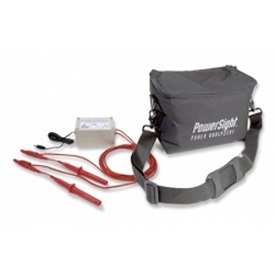 The PowerSight PS4550 has a 1000V CAT III safety rating (600V CAT IV) - the smart choice for working on systems to 1000V. 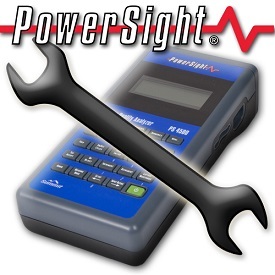 PowerSight meters and analyzers with Bluetooth wireless communications are the safest way to test. 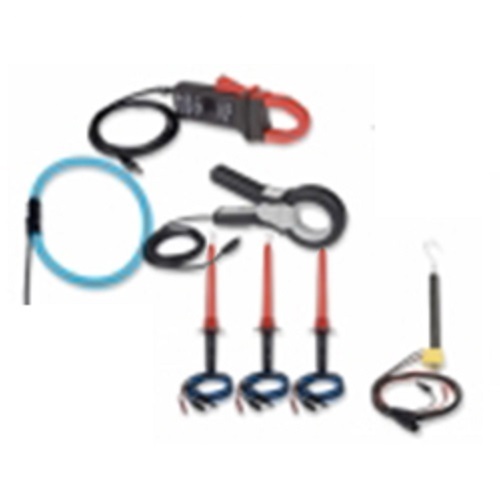 After installing the PowerSight analyzer and its probes, move safely away from high voltages and Arc Flash dangers and test remotely. At a safe distance, cumbersome PPE suits, hoods, gloves, etc. can be removed. 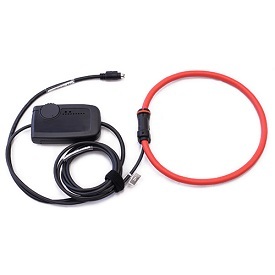 Thus workers can more comfortably control their PowerSight analyzer, view connections, phasors, and real-time values, start/stop monitoring and download data in complete safety (up to 25 feet away) via their laptop or tablet computer.